Looking for an event near a location or want to search by dates? Organizing an event in Litchfield? Let everybody know. Submit your event details to get it displayed here. Join our mailing list and find out about events and promotions happening in Litchfield. 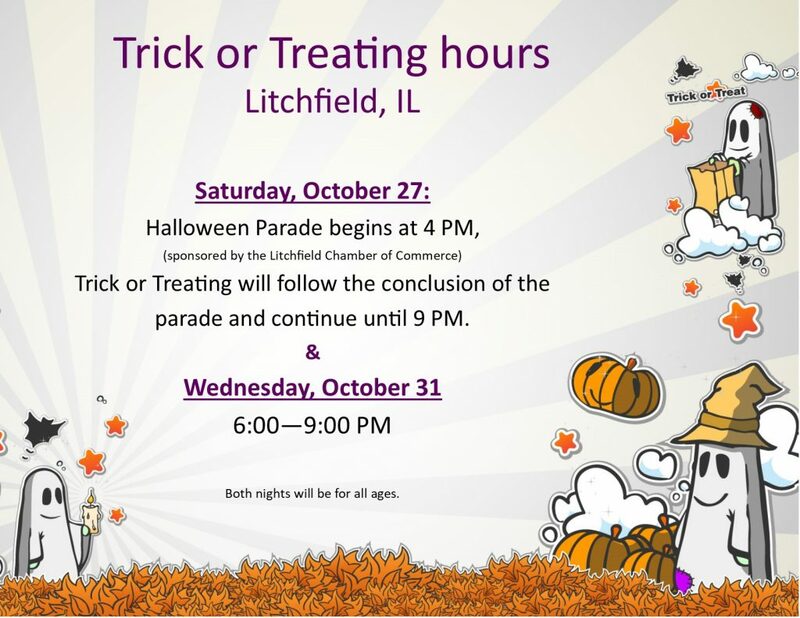 Saturday, October 27: Halloween Parade begins at 4 PM, (sponsored by the Litchfield Chamber of Commerce) Trick or Treating will follow the conclusion of the parade and continue until 9 PM. Both nights will be for all ages.